Do you have the Xercise Factor? The start of a new year brings a raft of new resolutions. Getting fit, losing weight, and being mindful of food are all common resolutions in the post-seasonal break. If this sounds like you, then we have an exciting competition which starts soon. The Kent Sport Xercise Factor programme offers free one-to-one training over six weeks with the goal of improving members’ health and fitness lifestyles. The application process is now open to all Kent Sport Gold and Silver members, all you have to do is fill out an application form and post it in the ‘X’ box in the gym or email it to J.Dexter@kent.ac.uk by Friday 25 January. The successful applicants will be guided by one of the qualified fitness instructors at Kent Sport and given specific advice and personal training to help them achieve their goals. At the end of the competition, the participant deemed to have embraced the programme the most will be crowned Xercise Factor 2019 champion. 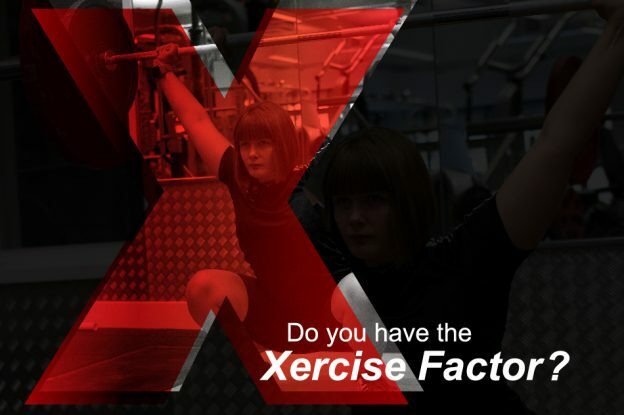 Applications are now open and we are looking for students, staff and members of the public who think they have the Xercise Factor and want to commit to getting fit and changing their lifestyle for the better. It is a complete overhaul of exercise and lifestyle habits and the promotion requires full commitment from the contestants to complete the challenge. Pick up your application form from the fitness suite reception at the Sports Centre or download it online. Not yet a member of Kent Sport? See kent.ac.uk/sports/membership for details and to sign up. You can follow the progress of the Xercise Factor participants through our Instagram page UniKentSports or by searching #XerciseFactor. This entry was posted in Campus online, Student Guide on 15 January 2019 by Wendy Raeside.